Very chuffed to receive another Top Twenty award at COAX again this year, this time for my Twa Corbies. The print will be on display at The Babylon Gallery, Ely for most of December. Also delighted to be invited to show my work at Cambridge Contemporary Arts in their summer show. Look out for some new birds and some more familiar. 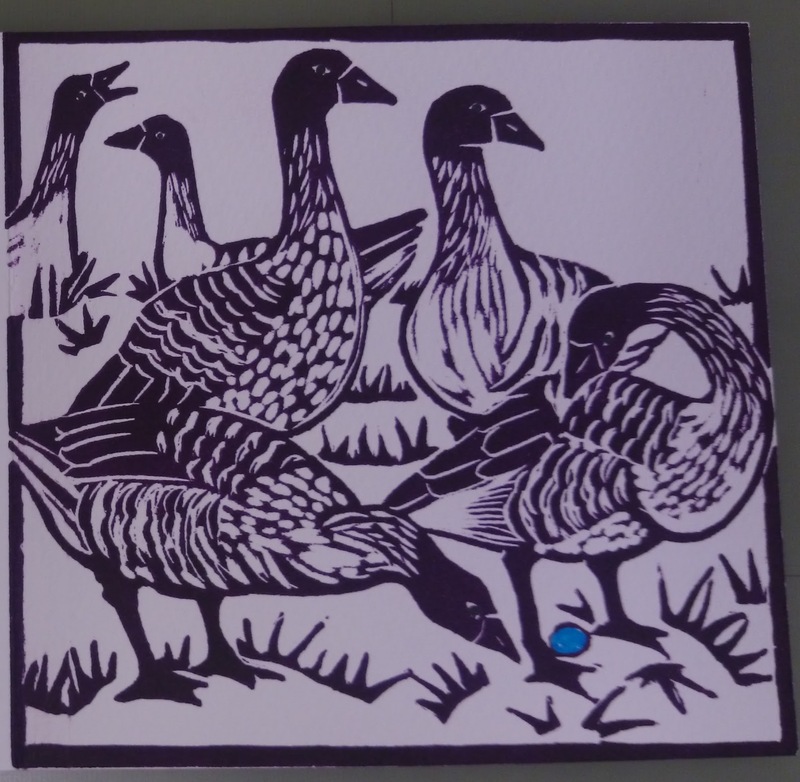 Just a few more birds to add for this year, six geese a-laying. Happy Christmas everyone! ← Previous Previous post: Flown away!